COLLEGE STATION, Texas -- Former US President George H.W. Bush was laid to rest at his presidential library in College Station, Texas, on Thursday, following funeral services at his longtime church in Houston. 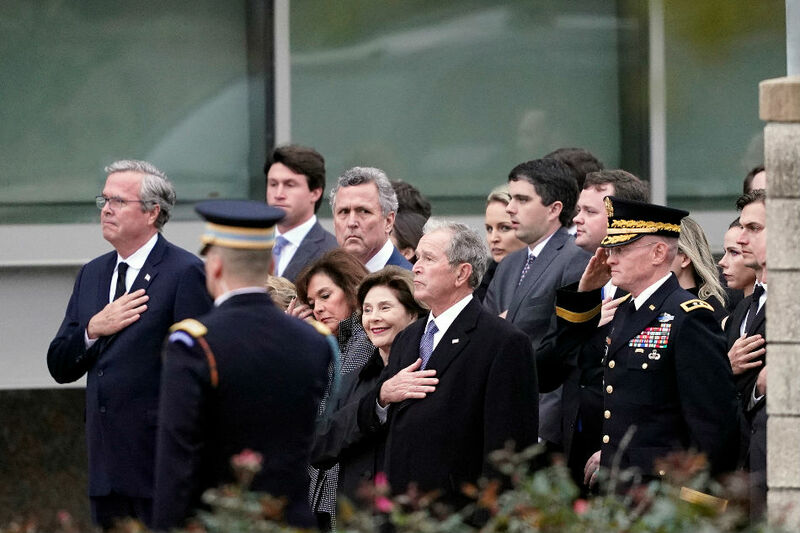 George W. Bush, who followed his father to the White House after President Bill Clinton's 2 terms, sat in a front pew near the flag-draped casket and joined in as some 1,000 mourners sang "America the Beautiful." Bush, a US Navy aviator who narrowly escaped death when he was shot down by Japanese forces over the Pacific Ocean during World War Two, was honored with a 21-plane flyover in a "missing man" formation before he was carried to his gravesite for a private interment. Ikaw na ba ang susunod na "Xander Ford"?